IkaScope is a wireless oscilloscope probe that allows to observe the change of electrical signals over time. The probe is a handheld device, portable and fits perfectly in the hand and pocket. 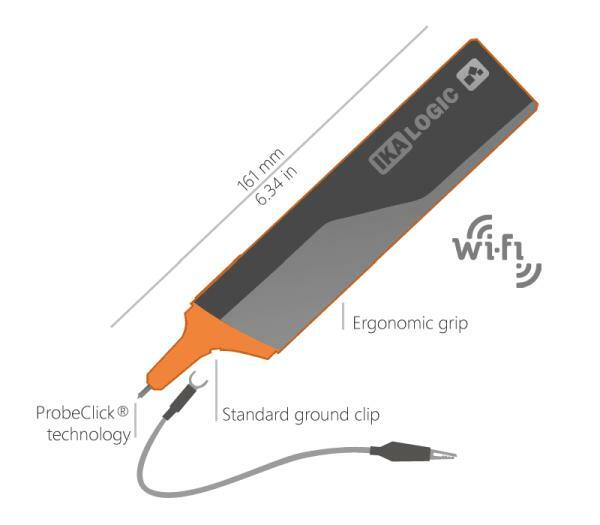 By using high-speed Wi-Fi connection, IkaScope wireless oscilloscope probe communicates with laptop, tablet or smartphone to share the acquired data on the screen. The IkaScope wireless oscilloscope probe is compatible with the most popular mobile and desktop operating systems. 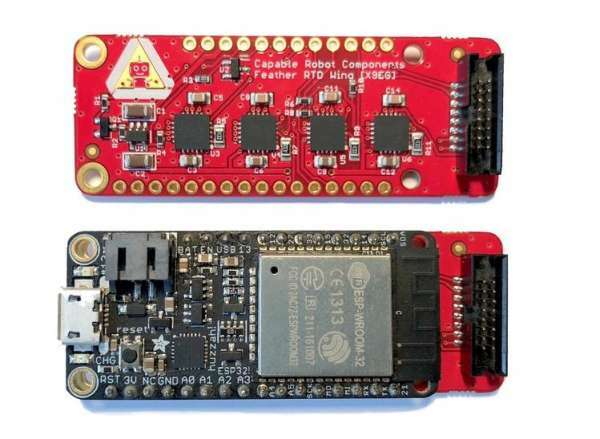 The probe has a 200 MSPs ADC, Spartan 3 FPGA and adequate battery capacity (450 mAh). Energy saving settings and downtime moments manage the energy efficiency. The probe comes with a ground clip and a USB charging cable. Especially relevant is the patented ProbeClick technology of IkaScope: all electronic circuits are powered only when the the probe is pressed (figure 1). The probe tip is also used to start the data acquisition. ProbeClick technology allows to save power and measure without remembering to press the run / stop button of a classic oscilloscope. ProbeClick represents a simple innovative mechanism to manage the data acquisition by probe tip. Simply by pressing the probe, the device starts data capturing and streaming process on the screen using the wi-fi connection. In addition, by releasing the probe, the acquisition stops and automatically the data is available in the storage/cloud (figure 2). IkaScope application is the user interface to capture, measure and analyze analog signals. From the download page you can download the latest version of IkaScope for your prefered Desktop OS. Communication: WiFi 802.11 b/g/n/e/i 2.4GHz. Connection: Access Point or Station. Battery charging connector: Micro USB. Operating Temperature: 10°C to 35°C. Protection Input level: Sample test voltage: 253 VAC 1 min. Input to charging port isolation: Saple test voltage: 1100 VAC 1 min. Application compatibility: Windows / Mac / Linux / Android / iOS.